A joint project of the DEG and AWAS, a specialist in environmental technology in the sector of water and wastewater, installed a demonstration facility for waste-water treatment for Ghana Nuts Limited, a manufacturer of edible oil, which was inaugurated in 2011. In this way, industrial waste water will in future be professionally treated in Ghana, with support from Germany. Furthermore, AWAS aims at boosting the exchange on water management between companies, institutions, the university and the population in Ghana with the help of the demonstration facility. Industrial waste water will be professionally treated in Ghana in the future due to a PPP that Deutsche Investitions- und Entwicklungsgesellschaft (DEG), has helped implement in Techiman in central Ghana. 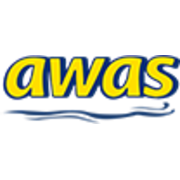 The private partner of the project is the German medium-sized company AWAS International GmbH, a specialist for the planning, production and assembly of innovative environmental technology in the sector of water and wastewater. AWAS contributes 203,500 euros to the project. DEG complements this amount by 200,000 euros. Clean water is becoming scarcer and scarcer in Ghana, as a result of population growth, urbanisation, industrial pollution and the extension of the irrigation agriculture. Water treatment technologies are hardly in place. Waste-water treatment constitutes an immense problem in the out-dated municipal facilities. This is where the AWAS project comes in: the company installs an exemplary facility for waste-water treatment for Ghana Nuts Limited (GNL), a manufacturer of edible oil. It treats the around 60,000 litres of waste water which are produced every day, and recycles the major part for the production process. GNL staff are trained on the operation, repair and maintenance of the plant to allow them to use it independently also in the future. In addition, road shows around the topic of waste-water management are being planned. Within the scope of the project, AWAS will install a public fresh water well in the immediate vicinity to the facility, which will, amongst others, supply a hospital under construction. A biological lighting system will prevent bacteria from contaminating the well water. The project aims at boosting the know-how transfer and exchange on water management between companies, institutions, the university and the population in Ghana, and at sensitizing the population for the topic in this way. The governmental environment authority of Ghana will be assisted in terms of new standards of water quality. With the help of the demonstration plant, AWAS will be provided with reliable market data and will be in a position to present itself as a competent partner for water and waste-water treatment in the African market. The developments of AWAS International have seriously changed the handling of process water and industrial wastewater in the recent decades. Patented system modules with almost maintenance and clog-free filterless vortex technology increase the cleaning efficiency of wastewater to a maximum - while reducing the operational and maintenance costs. In addition to discharge systems free from average and volume-orientated storage tanks, treatment components such as UV-A bio processors, Nano-Flotation, demulsifying systems, first- and second-flash technology and the newly developed Zero Liquid Discharge complete their systems – right down to individual process control. AWAS systems are ideally suited to replace outdated sewage treatment plants - with regard to operating costs and maintenance requirements. Due to the space-saving design of the simultaneous separation technique, existing structures can be used without any major conversion costs. Using their international experience and innovative approach, they are always one step ahead! Their team will gladly design a viable concept for construction or renovation of your wastewater treatment plants. Their business objective is the development and constant optimization of water treatment plants. In doing so they learn from nature. They align their technical development work in wastewater technology and the separation of liquids and materials on physical, quantum physical and biophysical process technology, while largely avoiding the use of chemicals. Their philosophy goes far beyond the technical aspects of their work. As a modern company AWAS faces its social and environmental responsibility too. Their aim is to develop and use our process technology pro-evolutionary. They do not only try to treat the waste water according to the state of the art technology and the newest quantum physical AWAS research and development standards but to energize the effluent water in a way that it cleans the water it flows into. Together they can exceed usual limits and add new paradigms in their actions. Together they can promote creativity, develop potentials, initiate developments, generate enthusiasm and create new habitats. The harmony of giving and receiving is set by nature. They are a part of nature. AWAS Wastewater Technology - with nature and for nature.